LC4500 combines proven components with enhanced processing speed and power, all housed in a compact form. Compatible with the DLPC350 application programming interface (API), users can easily create, store, and display high-speed pattern sequences using either Ethernet or USB interfaces along with a custom, easy-to-use graphical user interface (GUI). “Customers can use this platform to build a complete embedded solution using it’s robust processing and flexible interface capabilities”, said Adam Kunzman, Keynote President and CEO. The LC4500 series is powered by Texas Instruments’ 0.45-inch WXGA resolution DLP4500 chipset, which enables reliable, high speed spatial light modulation with pattern rates over 4 KHz. An integrated MSP430 micro-controller provides system control and can be configured to respond to external interfaces using general purpose I/Os. LC4500-EKT: A complete electronics controller ready to integrate into any customer’s optical system. The controller is available with either the DLP4500NIRFQE and DLP4500FQE DMD. An optional 30 cm flexible cable supports remote location of the drive electronics. LC45000-RGB projector: A complete electronics and optical solution with up to 200 lumens of optical output. For more portable or handheld solutions, each of these products can be configured to support the popular BeagleBone Green processor. The BeagleBone uses Texas Instruments’ powerful Sitara™ Cortex-A8 ARM® processor, with 4 GB of NAND flash memory for pattern storage, and a suite of connectivity options. These options include Ethernet, Bluetooth, Wi-Fi, and USB 2.0. Keynote also offers a custom real-time pattern generation application and associated GUI tool. The worldwide network of existing BeagleBone users adds another layer of support and enables developers to leverage the Android, Ubuntu and Linux operating systems to bring a customer’s design to market faster. LC4500 series are available now, with a suggested starting retail price of US $1100 for the LC4500-EKT. 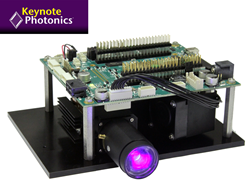 To place an order and learn more about these products, please visit http://www.keynotephotonics.com/store. Additionally, you can experience the LC4500 series in person at SPIE Photonics West, from February 16-18 in San Francisco, CA at the Texas Instruments DLP booth #823 . 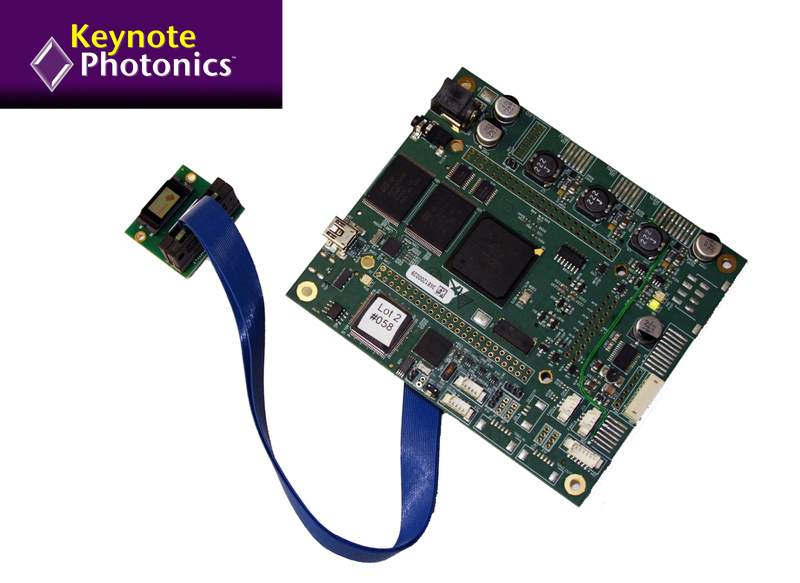 Keynote Photonics is a developer of leading solutions, tools and processors for photonics applications using MEMS technologies. Keynote is a privately held company. FlexLight is a trademark of Keynote Photonics. DLP is a registered trademark of Texas Instruments. Sitara is a trademark of Texas Instruments. ARM and Cortex are registered trademarks of ARM, Ltd.